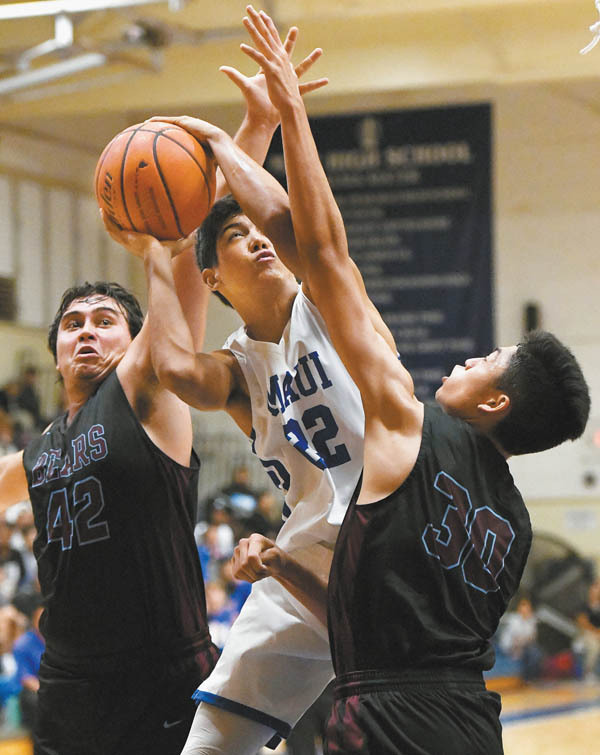 KAHULUI – In front of a packed house at the Shine Matsui Athletic Center, the Maui High School boys basketball team churned up memories of Maui Interscholastic League glory from the past on Senior night Thursday. The Sabers beat Baldwin 57-51 with second place in the MIL regular season hanging in the balance. 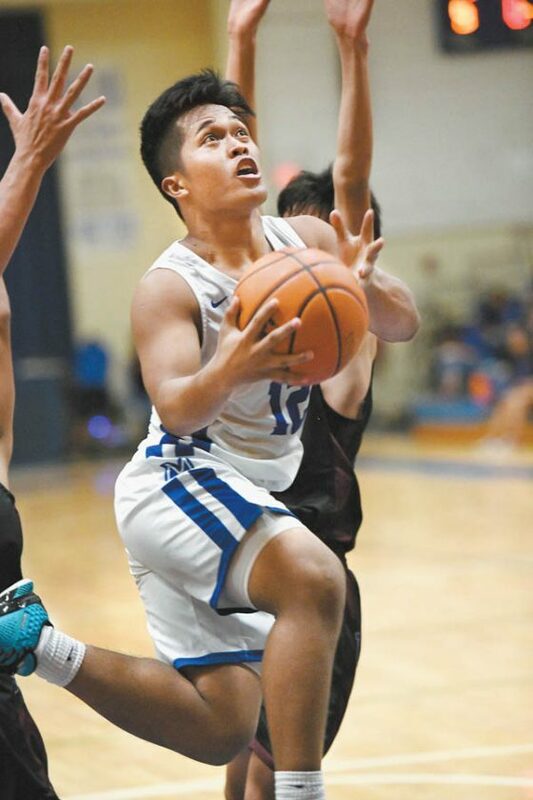 Senior Kevin Cacho led the Maui High attack with 16 points. After the Sabers blitzed the Bears 19-2 in the second quarter to take a 32-16 halftime lead, Baldwin opened the second half on a 7-0 run to climb within nine. Maui High finished the regular season 8-4, while Baldwin will be the third seed for the MIL Tournament next week at 7-5. One key senior missing for the Sabers was guard JoJo Pacubas. Cacho stymied the early second-half run with back-to-back 3-pointers to make it 38-25. Quintin Akaka hit a 3 and Holden Ioanis added a midrange jumper to start the fourth quarter and bring the Bears within 46-40 with 7:17 to play. Maui High’s Brycetyn Boco scored on a breakaway to push the lead back to eight with 6 minutes to play. Cacho made a layup to increase the lead to 50-40 a minute later. John Werner made two free throws with 4:14 to go to bring the Bears within 50-44. Kobin Harris made made a pair for the Sabers with 3:29 left to up the lead to 52-44. The Bears would not get closer than six the rest of the way. Mochi Dukelow and Ioanis each scored 14 to lead the Bears. 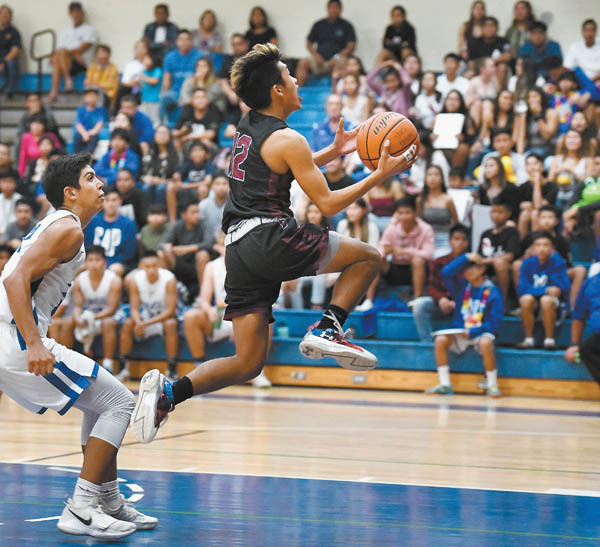 The win is key for the Sabers, guaranteeing them at least second-place playoff if game regular-season champion Lahainaluna win the MIL Tournament. 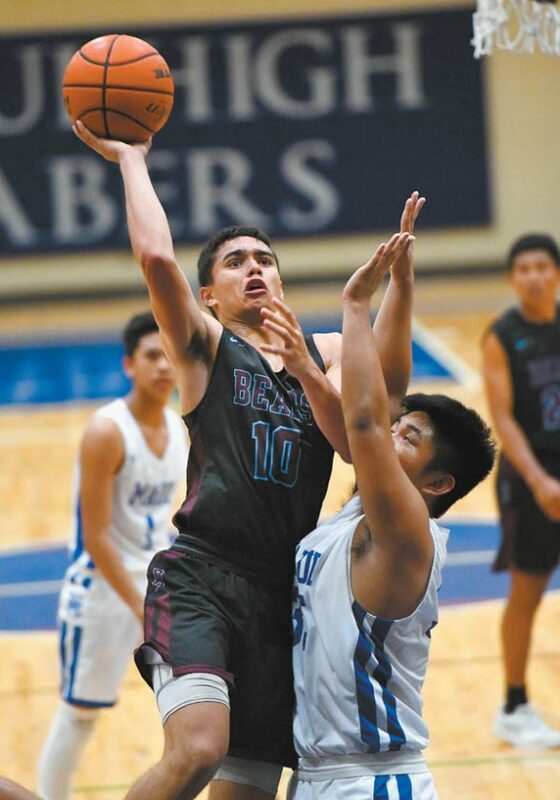 If the Sabers beat Baldwin in the tournament semifinals, they would punch a ticket to the state tournament if Lahainaluna also makes the final. Mochi Dukelow 14, Owen Nakamura 0, Holden Ioanis 14, Reinhard Taidrik 0, Ben Wagner 0, Kui Ross 8, Quintan Akaka 7, Ikaika Raines 0, John Werner 8. JR Villon 9, DJ Sable 3, Keoki Agtaguem 2, Kevin Cacho 16, Isaiah Richards 7, T-Jay Valle 2, Michael Villon 0, Kobin Harris 6, Brycetyn Boco 8, Chris Rummans 4.